Darlington Raceway is known for many things. It’s the supposed “Track Too Tough to Tame” and “The Lady in Black.” Its egg-shaped configuration is unique among Sprint Cup Series circuits, creating a driving experience tough to master for even the most talented competitors. Darlington is one of the few “once-visited” tracks on the Sprint Cup Circuit. Do two race dates a year improve a driver’s chance of winning? It’s also one of 10 racetracks on the Sprint Cup circuit that are visited just once during the season. It wasn’t always that way. Up until 2005, Darlington had two dates on the schedule, both providing challenging portions of the schedule dreaded by rookies and beloved by fans. That year, its two races were combined into one, to the ire of many fans who enjoyed the hard racing, its history and the fact that it wasn’t your usual cookie cutter circuit. Now, Darlington joins nine other speedways as once-visited dates on the 36-race Cup schedule. Atlanta, Chicagoland, Las Vegas, Sonoma, Watkins Glen, Indianapolis, Kentucky, Auto Club and Homestead are the other such races. Fans probably aren’t the only ones still a little salty about Darlington’s lack of a second race, particularly the Southern 500’s long-gone placement on Labor Day weekend. 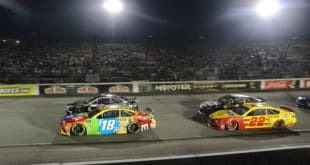 Denny Hamlin, Jimmie Johnson and Brad Keselowski have the highest average finishes at the track in its last 10 races, and Jeff Gordon claims the most wins by an active driver at the speedway with seven victories. One can’t necessarily predict that things would remain constant if the track had two races instead of one on the Cup schedule, but good past finishes are good past finishes. Heck, let’s not stop there. What about the other nine tracks? What if they had more than one event on the schedule? Jeff Gordon might enjoy that. At the 10 once-visited speedways on the Cup schedule, Gordon has 31 wins, over a third of his 87 career victories. He’s also the career win leader among active drivers at three of the tracks, including Darlington, Sonoma and Indianapolis. Gordon’s far and away the best in that category, with a 10-win cushion on second place. That distinction goes to Tony Stewart, who has scored 21 victories at these 10 tracks, approaching half of his 47 career wins. Jimmie Johnson, who has won 20 times, currently places third. Part-time driver and elder statesmen Mark Martin is the only other active racer on the list with double digits in victories, having won 11 times in his many races at Darlington, Las Vegas and more. In total, 27 drivers who have run at least a race this season have won at these racetracks, ranging from Gordon’s 31 to a sizable tie between nine different competitors with one win. This season, the series has already visited Auto Club and Las Vegas, meaning that eight of these tracks remain on the schedule. Looking at the last 10 races at each speedway, Stewart, Gordon, Johnson and Matt Kenseth are among the best drivers in terms of average finish. Of the eight remaining tracks, Stewart and Gordon notch a top 10 in average finish during the last 10 races at seven of them. 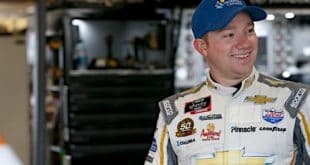 In particular, Stewart leads drivers with an average of 6.6 at Chicagoland and 7.4 at Indianapolis, while Gordon leads the way at Sonoma with an average finish of 6.9. 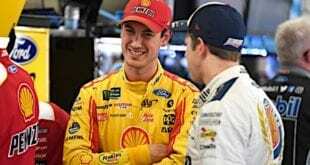 Johnson and Kenseth can lay claim to being in the top 10 at six of the eight tracks, with Kenseth averaging a finish of 7.4 in the last 10 races at Atlanta. 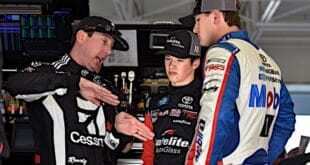 Conversely, Ryan Newman, Clint Bowyer and Martin Truex Jr. probably don’t mind the lack of races at these tracks. Newman and Bowyer only have one win each at the 10 circuits, while Truex has been unable to score a victory at any of them. That said, Bowyer and Truex are in the top 10 in average finish at four of the tracks, while Newman’s only in two. Point is: imagine if some of these tracks were visited more than once (Darlington and Atlanta once were, of course). Could we have seen better championship finishes, either recently or otherwise, from these contenders? Or would the law of averages have come into effect? It’s hard to say, but just imagine if there were more, say, road courses on the circuit, or if Denny Hamlin’s blistering average finish of 5.9 at Darlington could be duplicated? Actually, that doesn’t sound bad in terms of more road courses, but that’s a whole other can of worms.